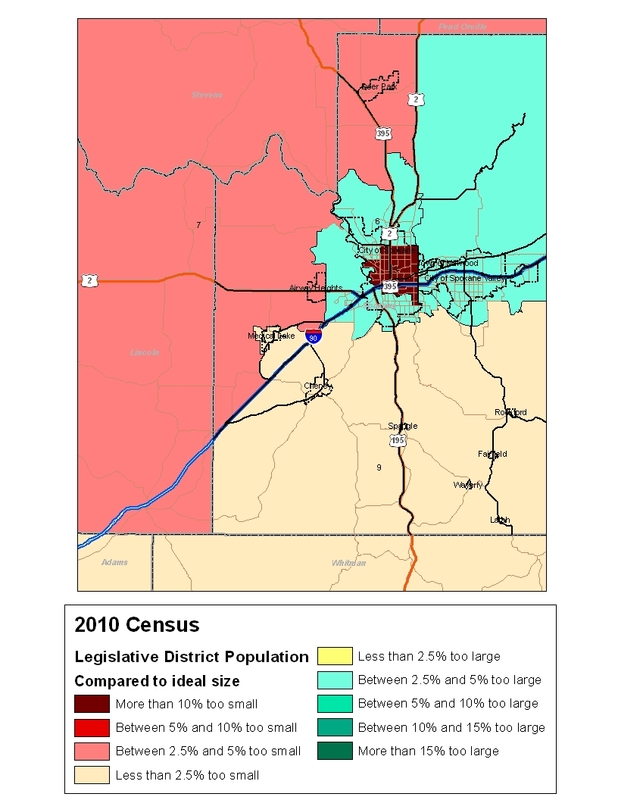 Tue., March 1, 2011, 10:30 a.m.
Last night's post discussed the population in Washington's legislative districts and had a statewide map. But we also generated more local maps for analysis. Here's a Spokane County map tied to the same color key. 3rd District (central Spokane city, includes Hillyard, Northtown, West Central, East Central, Logan, downtown, lower South Hill.) 120,601 314 -16,635 2nd smallest.